Human and animal healthcare are two professions often considered to be separate types of medicine. However, the animal healthcare is almost identical to the healthcare for people as the two bodies of medicine do share many of the same illnesses and injuries. With the rising awareness of the veterinary healthcare, the world is becoming much more knowledgeable and well encouraged to take pets to a veterinary doctor at a veterinary health center at regular intervals. The rise in the ownership of animals in the recent past has been significant. The rise in the animal ownership indicates the increasing need for companionship and entertainment among the population leading people to treat their pets as humans and sometimes better. 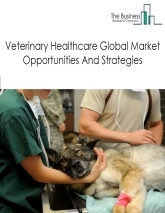 The veterinary healthcare market consists sales of goods and services by entities (organizations, sole traders and partnerships) associated with diagnosis, treatment and prevention of diseases in animals. This industry includes establishments that provide veterinary services, veterinary medical equipment manufacturers and animal medicine manufacturers. The veterinary services market consists of sales of veterinary services and related goods by entities (organizations, sole traders and partnerships) that provide veterinary services to pets, farm animals and animals kept in zoos and wildlife parks. This industry includes animal hospitals and veterinary clinics that provide consultation services, treatment, curative medicines to animals. 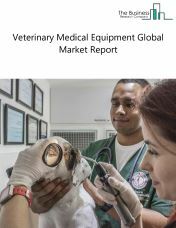 The veterinary medical equipment market consists of sales of veterinary medical equipment and related services by entities (organizations, sole traders and partnerships) that manufacture veterinary medical equipment used in diagnosis, monitoring and treatment of medical conditions in animals. This industry includes establishments that manufacture veterinary surgical equipment such as endoscopic systems, dental equipment, veterinary telemetry services and others. 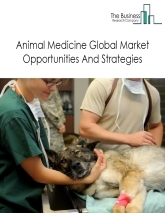 The animal medicine market consists of sales of animal medicine and related services by entities (organizations, sole traders and partnerships) that manufacture animal medicine to treat animal diseases. This industry includes establishments that manufacture veterinary pharmaceuticals such as veterinary vaccines, veterinary antibiotics, and other veterinary pharmaceuticals. It also includes establishments that manufacture medical feed additives and nutritional feed additives.